The 3C certification listing reveals that the new Redmi 7 devices come with a 10W charge support. Xiaomi announced three smartphones in its Redmi 6 series, this year in September — the Xiaomi Redmi 6A, Redmi 6 and Redmi 6 Pro. It now appears that the company might be launching the Redmi 7 series. The Xiaomi Redmi 7 series was spotted by the publication Nashville Chatter on China's Compulsory Certificate or the 3C certification website. The Redmi 7 series, just like the Redmi 6 series will include three models — Redmi 7A, Redmi 7 and Redmi 7 Pro. The listing also reveals that the new devices come with a 10W charge support. Nothing besides this is known about the devices — the report does not reveal any specifications. 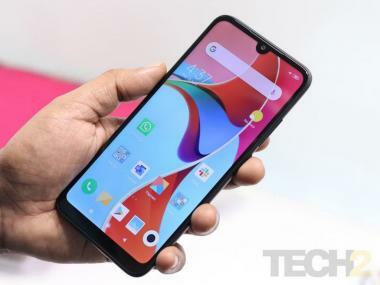 However, the report expects that the devices, which were listed as the M1901F7E, M1901F7T and M1901F7C, might soon be listed on TENAA with full specs. The Redmi 6A was launched in two variants, with 2 GB of RAM and 16 GB of internal storage, priced at Rs 5,999, and the other with 3 GB of RAM and 32 GB of storage, priced at Rs 6,999. The Redmi 6 was launched in two variants, with 3 GB of RAM and 32 GB of internal storage, priced at Rs 7,999, and the other with 3 GB of RAM and 64 GB of storage, priced at Rs 9,499. Finally, the Redmi 6 Pro was launched in two variants, with 3 GB of RAM and 32 GB of internal storage, priced at Rs 10,999, and the other with 4 GB of RAM and 64 GB of storage, priced at Rs 12,999.